President Kagame at the press conference (file photo). The Rwandan government has made remarkable strides in infrastructure, the economy, healthcare and gender equity in political representation, but their continued attack on independent thought and criticism is disheartening – and dangerous. As the August presidential election looms, it is important not only to hail Rwanda's success but also to ask hard questions about government abuse of authority. The Rwandan government uses charges of "genocidal ideology" and "ethnic divisionism" to attack independent critics and often seems more concerned with political survival than with lasting reconciliation, manipulating the memory of the genocide for political gain. If the Rwandan government is truly committed to promoting unity and fostering long-term reconciliation it should encourage enlightened public discourse about the social construction of ethnicity in Rwanda and stop oppressing political opponents, independent civil society and journalists. My work years ago as a young lawyer-in-training focusing on post-genocide Rwanda sparked my career in international human rights law. For several years I visited Rwanda on human rights research and fact-finding trips and authored reports based on my fieldwork. This tiny, beautiful, ghost-filled country, where 800,000 people were slaughtered while the international community watched, has stayed with me. On my first trip to Rwanda seven years ago, I visited a genocide memorial site housed in a church an hour outside of Rwanda's capital. At Ntarama church, roving gangs of genocidaires killed 5,000 men, women and children seeking sanctuary inside. There are places made of stone that carry human memory, that remember where we have been and what we have suffered. I walked into Ntarama church and was confronted with the strong, sad, unrelenting human memory of anguish. The church remained exactly as it had been following the 1994 attacks. There were holes in the ceiling from grenade fragments, blood splattered on the walls, bones and skulls scattered on the floor among the rubble, sandals, clothes and children's books. I remember the light from the setting sun entering the church through the grenade holes in the ceiling and settling on the bones that glowed golden and lonely. One of the survivors of the attack said he only lived because the bodies of the dead and dying poured on top of him, like rain. In the trips to Rwanda that followed, I would meet many more survivors who shared similar stories of the struggle to live during those horrifying 100 days. It is with these images and stories lingering in my mind that I remain mystified at the ease with which the Rwandan government manipulates the memory of the genocide by using the charge of genocidal ideology to stifle opposition and buttress its own power. As the election draws near, the government has been implicated in recent attacks on journalists and political opponents and their advocates. These attacks include the imprisonment and later release of Peter Erlinder, a U.S. lawyer and International Criminal Tribunal for Rwanda defense counsel, and the banning of two independent newspapers: Umuvugizi and Umuseso. 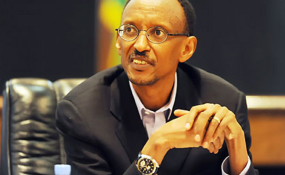 Although the government has denied recent allegations of abuse – including participation in the murder of Umuvugizi editor Jean Leonard Rugambage, and the attempted murder in South Africa of the exiled former army chief of staff Faustin Kayumba Nyamwasa – the authoritarian tendencies of Rwanda's ruling party is not a new phenomenon. In 2004, following the 2003 elections in which the government was implicated in the forced disappearances of opposition figures, a parliamentary commission issued a scathing report accusing civil society, independent journalists, opposition politicians, human rights defenders, churches, schools and international aid organizations of harboring "genocidal ideology." I researched and co-authored a report condemning these actions and interviewed a junior Rwandan government official who conceded that "genocidal ideology" had become code for overt criticism of government policy. The parliamentary commission report was shocking in its lack of strong evidence to support such serious charges in a country struggling to realize lasting reconciliation. Following the release of the 2004 parliamentary report, Rwandan human rights defenders accused of genocidal ideology fled the country fearing for their lives. Many lived in exile in Kampala, Uganda, under the protection of the United Nations High Commissioner for Refugees, until being granted political asylum in Europe and North America. I interviewed several of them – brave individuals who had strong records of advocating for the rights of genocide survivors. International human rights defenders are also not immune to the government's acrimony. One prime example was the government's treatment of the late, great Alison Des Forges of the U.S.-based Human Rights Watch, who before her untimely death last year was widely regarded as one of the foremost experts on the Rwandan genocide. Her criticisms of the government's increasingly authoritarian streak resulted in the government officially banning her from the country in 2008, despite her unquestionable courage in attempting to draw international attention to the impending genocide in 1994. As the government persists in leveling charges of genocidal ideology with abandon, independent critics continue to flee the country. Rwanda's "genocidal ideology" and "ethnic divisionism" laws fail to strike an equitable balance between safeguarding freedom of speech while protecting citizens against incitement to violence and discrimination. Instead, these laws silence journalists, politicians and citizens who peacefully advocate political views that differ from those of the ruling party. The government uses these ill-defined crimes and manipulates the memory of the genocide to solidify its power and oppress alternative political viewpoints under the pretense of advancing national unity. Chi Mgbako is clinical associate professor of law and director of the Walter Leitner International Human Rights Clinic at Fordham Law School in New York City. Copyright © 2010 allAfrica.com. All rights reserved. Distributed by AllAfrica Global Media (allAfrica.com). To contact the copyright holder directly for corrections — or for permission to republish or make other authorized use of this material, click here.